You’d think finding one’s personal style would be easy and a no-brainer, but for me, it’s always been a bit of a challenge. Ever since I was a child, I remember over-analyzing every piece of clothing at the store when I was allowed to get a couple new pieces. There was so much pressure to pick the RIGHT piece. Recently, I have decided to dedicate time to curating my dream wardrobe - you know, the Pinterest-worthy kind of wardrobe! I’ve found personally that my style over the years has been constant - simple, classy, and a little edgy. This year, however, I’ve really been stepping outside my comfort zone to explore every facet of my style. The result? I feel more in touch with my personal style now more than ever. Stepping outside of your comfort zone can be challenging, but starting with jewelry is the safest place to start! Jewelry is small enough that it doesn’t necessarily change your entire look, but it’s definitely powerful enough to take your look from a 5 to a 10! When it comes to Jewelry, I typically stick to dainty pieces that are very subtle, but I recently decided to branch out and try some pieces from The Met Store’s new fair-trade line of jewelry. I’d be lying if I said I wasn’t a little nervous to go for jewelry that was a little bolder than what I’m used to, but I’m so glad I did. Just the other day I was staring at my wardrobe feeling like it was so boring and then I put on these Byzantine Bead Graduated Earrings and instantly felt so feminine and beautiful. 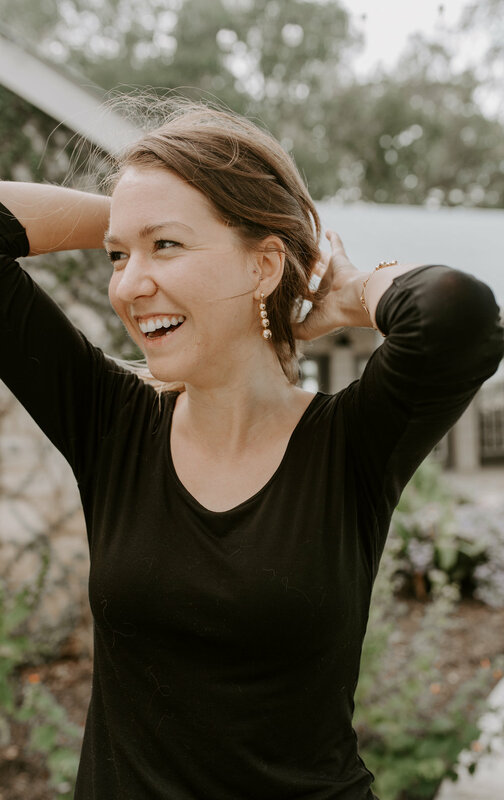 These earrings have become a fall-time favorite for me this season and I am already planning on wearing them for Christmas and New Year’s Eve too! They’re so fun and flirty, but also still classy and fit in perfectly with my personal style. Layering necklaces is a fun and easy way to step outside the lines of your typical “look”. You can even mix metals, wearing silver AND gold if you’re that bold! Or, take that longer necklace you have and wrap it to make it look like a layered piece like I did with this 36” Byzantine Circle Necklace! This necklace is gorgeous worn as a single necklace, but why not double-up on the “gorgeous” effect and wrap it to make it look layered? I love accessories that can be worn multiple ways because they’re not only more functional, it gives you room to explore and get creative! You can also step outside your comfort zone by layering accessories with a scarf, stacking rings, bracelets, and so on! Don’t be afraid to try something you wouldn’t typically go for - you might discover something about your personal style you didn’t know was there!